Many people ignore the importance of having a will; however, a will ensures your assets will be distributed in accordance with your wishes. If you should lose your life unexpectedly, and have not prepared a will, your estate will be distributed in accordance with Arizona laws. Your wishes and the law’s wishes may be two different things. Those who have no will and die have no say in the distribution of their assets. If you are over 18, mentally competent and have any property that is solely owned and not beneficiary designated, including bank accounts, real estate, or other assets, you should have a will. Just know that assets like life insurance policies and retirement accounts, for example, will automatically go to the named beneficiaries when you die. Jointly held property will automatically transfer to the other owner when you die. Other assets, those held solely or without a beneficiary would be distributed in accordance with Arizona law if you do not have a will. Can my will be changed after it is written? Yes. You can change or revoke a will at any time. It is also important to understand your will should be reviewed for possible changes after major life events. For example, if you get married, divorced, have a child, or a grandchild, you may wish to consider modifying your will. Keep in mind, you should also change your will if the person you name as executor of your estate dies, or falls ill. Will changes are put in documents called “Codicils”. Codicils may be used to make any changes you feel appropriate after your initial will is drafted; for example, you may wish to change your executor, named guardian for minor children, or you may wish to leave funds to another charity, organization or person. I am not wealthy; do I really need a will? Wills are not only for those who are wealthy; they are for anyone who has personal property and assets they wish to bequeath to a specific individual or charity. If you fail to have a will, you will have no say in how any of your assets are distributed. Let’s say you were married and you and your spouse separated but did not divorce. Under Arizona law, if you died during this time, your assets would automatically go to your spouse, even though you were not living together at the time of your death. A holographic will is one that is drafted in your own handwriting, and signed and dated by you. It is a valid will. What happens with the probate process? The probate process is designed to do two things; first to prove your will is legitimate, and second, to provide a process for distribution of your assets. Your executor is empowered by the Probate Court to gather, inventory, and value your assets, distribute the assets in accordance with your wishes, then take care of the final business of your estate. The executor must pay all of your creditors, distribute the remaining assets, and file a final tax return. As you prepare to meet with an Arizona estate planning attorney to draft your will, it is important you understand what information your attorney will need to help ensure your will is legal. This important checklist can help make the process a lot easier for you and your attorney. Personal representative – This is the person who will be responsible for carrying out your final wishes for distribution of your assets, also known as the executor of your estate. In most cases, it is advisable to name a successor executor in the event your executor is unable, or unwilling to serve as executor. Minor child guardian – If your children are minors, you will want to name a guardian for your children. This is very important in the event you and your spouse do not outlive your minor children. I recommend that you put two choices in the event your first choice is unable or unwilling to serve as guardian. Will beneficiaries – The most important decision you will make is how to distribute your assets. The will can specify who gets what. You can say, for example, your spouse gets everything but if your spouse is deceased, your children get everything. Once you have gathered this information, I will be happy to draft your will. The will includes additional information, such as the County and the names of the witnesses to the will. I encourage people to provide a copy of the will to the named personal representatives and guardians for the minor children. They will include additional information, including the name of the county in Arizona where you will execute (or sign) your will as well as the names of the witnesses to the will. Finally, your will should be signed with your legal name and dated. 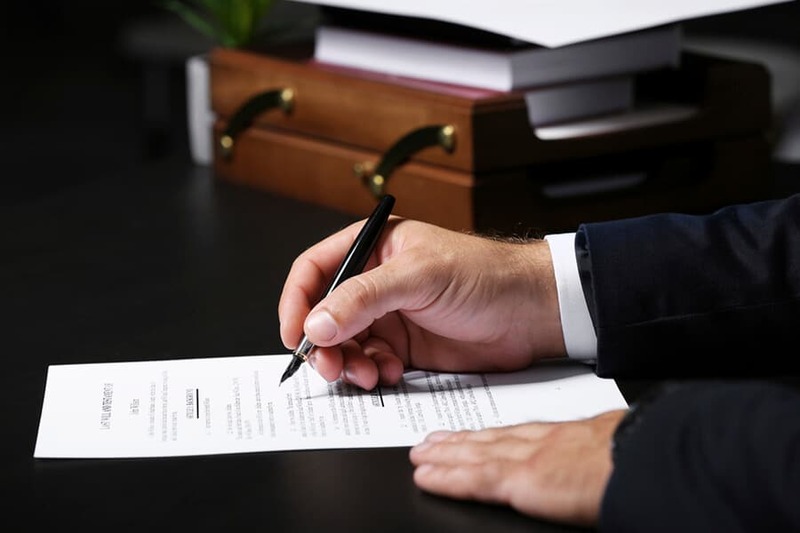 We typically encourage people to notify their family members of the name of the attorney who has a copy of your will, and notify the executor of the will, as well as named guardians for minor children. As an experienced estate planning attorney, I understand there are many complicated decisions to make when drafting a will for the first time. I am here to answer your questions, make sure you understand the ramifications of your decisions, and draft the necessary legal documents. I want to make this process as easy and painless as possible for you. Having a will in place will give you the peace of mind of knowing that should you lose your life unexpectedly, your assets will be distributed in accordance with your wishes, and not determined by the courts and Arizona law.